Adventure Bags Mod 1.12.2/1.11.2 for Minecraft is an extremely simple yet useful mod as it adds new bags with special features. Mods about backpack are way too familiar to Minecraft players as mods that can extend backpack, bag magic… can be found everywhere. However, if there is another mod being written based on this idea but is highly optimized, useful and lightweight like Adventure Bags Mod, then we should also try out. The mod adds 2 new backpacks called Ender Satchel and Ender Backpack. They are permanently linked to the players’ character, even if you lose the bags, you just need to craft new ones, and the contents would still be accessible. 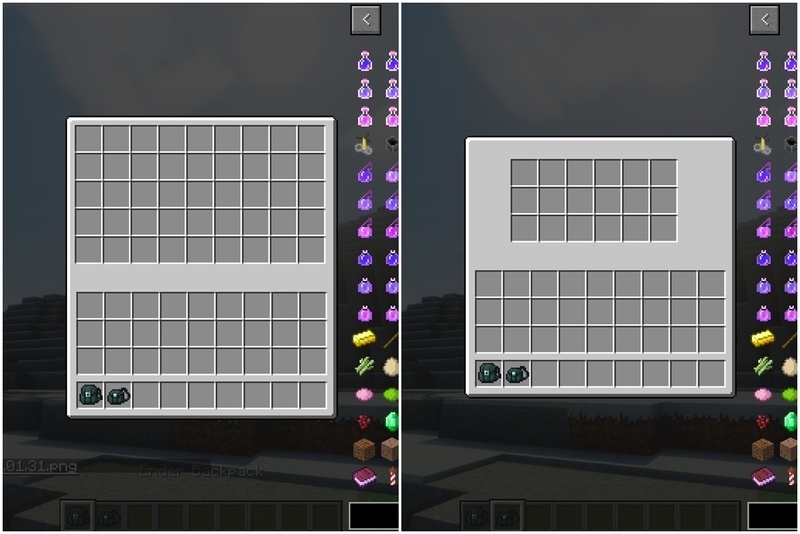 Crafting recipes (2 modes: Easy and Difficult, editable in the config file). You can download the latest version of the AdventureBags Mod from the link below and follow the instruction to install. Do not forget to check if the mod needs any additional mod to run. Happy gaming! Download Forge Installer, Adventure Bags.jar file.